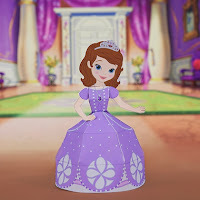 Get a FREE Sofia 3D Papercraft. Print out your princess on regular paper or cardstock and cut out the pieces. After that it is easy - just follow the directions on the website.